Special Operations Forces Day is a professional holiday in the Armed Forces of the Russian Federation celebrated annually on February 27. 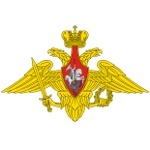 It was established by President Vladimir Putin in 2015. Special operations forces, also known as special forces, are military units that perform unconventional missions both within the country's territory and abroad. Special operations forces in their modern form emerged in the early 20th century. Nowadays, many countries have special forces as part of their armed forces. Vladimir Putin did not explain his choice of February 27 as the date of Special Operations Forces Day, but this date coincides with the beginning of the 2014 Crimean crisis which led to annexation of the Crimean Peninsula by Russia. On February 27, several government buildings in Crimea were seized by unidentified troops. These troops were widely suspected of being Russian commandos. By declaring February 27 the Special Operations Forces Day, Vladimir Putin in fact acknowledged the participation of the Russian military in the Crimean crisis and the Russian military intervention in Ukraine.